Last night I dragged my family out to dinner at Pizzeria Bianco. I’ve been reading rave reviews for quite some time and was really excited to try it out. 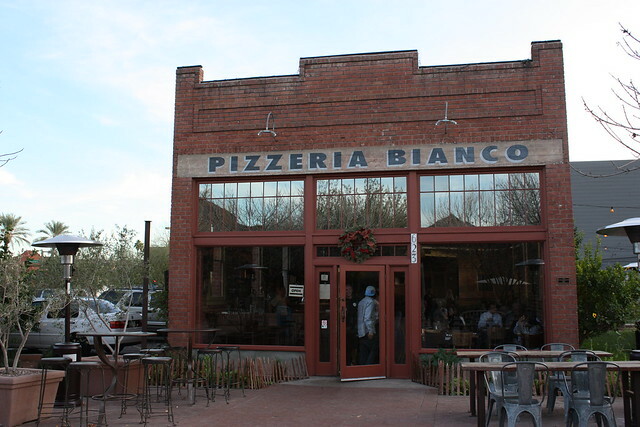 Pizzeria Bianco is a quaint pizza place in downtown Phoenix. 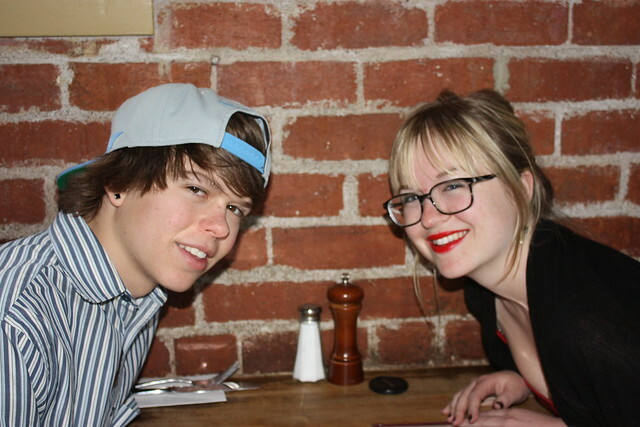 One of my favorite things about the whole dinner was the aesthetic of the restaurant. The cute brick exterior, the huge windows, and the cozy feel of the interior all make dining there a great experience. The menu is limited so if you have picky eaters I’d steer clear. I thought the pizza options sounded wonderful so I was a pretty happy camper. My family ended up ordering three different pizzas: the Wise Guy which was a white pizza topped with smoked mozzarella, onions, and sausage, a classic margarita pizza with some wood roasted mushrooms on top, and the Biancoverde which was also a white pizza topped with arugula, parmigiano reggiano, ricotta, and mozzarella. My favorite was the Biancoverde with the Margarita coming in as a close second. The Wise Guy was yummy but a little too cheesy for my taste! All in all, I had a good night. The pizza wasn’t as breathtaking as I had hoped but the crust more than made up for it. My family and I got there early because Pizzeria Bianco is notorious for having excruciating wait times. We ended up being seated as soon as we arrived but I imagine having to wait an extraordinary amount of time to be seated might have put a cloud over the whole dinner. So my advice is to go early, order the Biancoverde, and savor every bite of the crust.